The change happened during his appearance before Justice Hakeem Oshodi of the Lagos State High Court on Thursday. 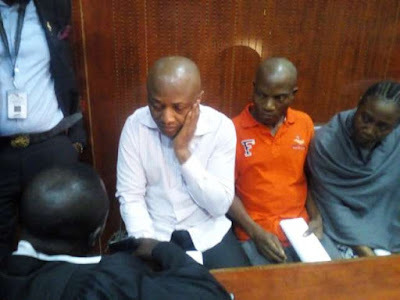 Notorious billionaire kidnapper,Chukwudumeme Onwuamadike, popularly known as Evans, has changed his previous plea of 'guilty' to 'not guilty' to two-count charges of conspiracy and kidnapping. The plea change happened during his appearance before Justice Hakeem Oshodi of the Ikeja Division of the Lagos State High Court on Thursday, October 19, 2017. The suspect had initially entered a 'guilty' plea to the charges after he was arraigned, alongside five other accomplices, before the court on Wednesday, August 30. At the commencement of Thursday's hearing, the Lagos State Director of Public Prosecution, Titilayo Shitta-Bey, told Justice Oshodi about an amendment of the charges which relates to only to the punishment section for the second charge. While Evans' counsel, Olukoya Ogungbeje, asked the court to grant him a short adjournment to properly confer with his client on the way forward, Justice Oshodi only granted him a 45-minute recess. The suspect is being tried alongside five accomplices: Uche Amadi, Ogechi Izechuwku, Okechukwu Nwachukwu, Chilaka Ifeanyi and Victor Chukwumonso. 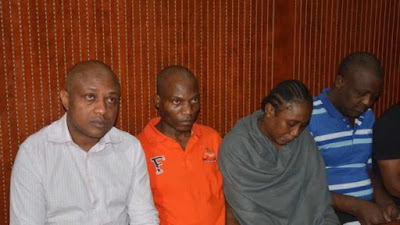 At the August hearing the prosecution team, led by the Lagos State Attorney-General and Commissioner for Justice, Adeniji Kazeem, accused the defendants of capturing and detaining and collecting a ransom of £223,000 on Mr. Duru Donatius between Feb. 14 and April 12, 2017. i guess now there is nothing money can't buy. money does make the world go round.